In the spirit of treading a bit lighter on the planet, Tiny Houses explores the microgreen side of sustainable architecture-tiny homes where architects and owners challenge themselves to live with less, but to get more out of the experience. This eco-aware idea springs from the need to conserve resources and reduce our individual carbon footprints. A wee alternative to McMansion sprawl, this low-impact movement asks people to lighten-up. 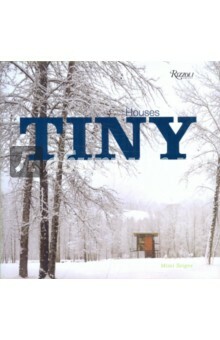 Tiny Houses brings together an international - collection of over thirty unique homes and living concepts under 1,000 square feet-some practical and others conceptual-ranging from tree houses and prefabricated dwellings to floating houses. The book presents building plans, vivid photographs of the homes, arid inventive compact living solutions.